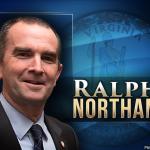 Governor Ralph Northam is scheduled to throw out the first pitch at tonight’s Salem Red Sox home game. In Roanoke earlier this week Northam said he aims to do better than the notoriously bad first pitches thrown by 50 Cent and the Mayor of Cincinnati – among others. Game time tonight in Salem is 7:05. The first pitch from Northam will come right before that.